I came across this quote the other day and it just stuck with me. So one morning before my meditation I made a list of all the people I feel had hurt or betrayed me. Thanks goodness the list wasn't too terribly long. I was still surprised at some of the names that showed up. I went one step further and wrote down what I perceived they had done to me that hurt so much, that had caused me to hold onto resentment. I'll be honest, by the time I was done writing my hand was extremely fatigued and I had used up alot of space in my journal. This whole experience took me down memory lanes where I had resisted going and in some cases I cried, very hard. It was difficult to relive, in my heart, the pain and sadness of what had happened, to revisit the friendships lost and the connections lost. Yet I felt like this was exactly what I needed to do. I took the time to, individually, forgive each and every person. This is when I cried the hardest. I am aware that forgiveness doesn't mean that it's OK what the other person did, because it isn't. I may or may not ever have a relationship with any of these people again and I am fine with that. I am making a choice to no longer allow what happened to reside in my heart. The truth is...we are all just people doing the best we can, living and learning about life. I know I have hurt people, too, said things and done things that I am not proud of which is why I was #1 on my list of forgiveness. I know that I am better today than I use to be and as time goes on, if I am vigilant, I will be better tomorrow and all the days to come. Later in the day I re-read my entry in my journal and I was blown away by what I learned. Everyone, I mean everyone, I had on list that I felt had wronged me actually had in actuality provided me with a valuable lesson. I have always believed that "when the student is ready the teacher will appear"and that is what had happened. Only in these times the teacher was disguised. 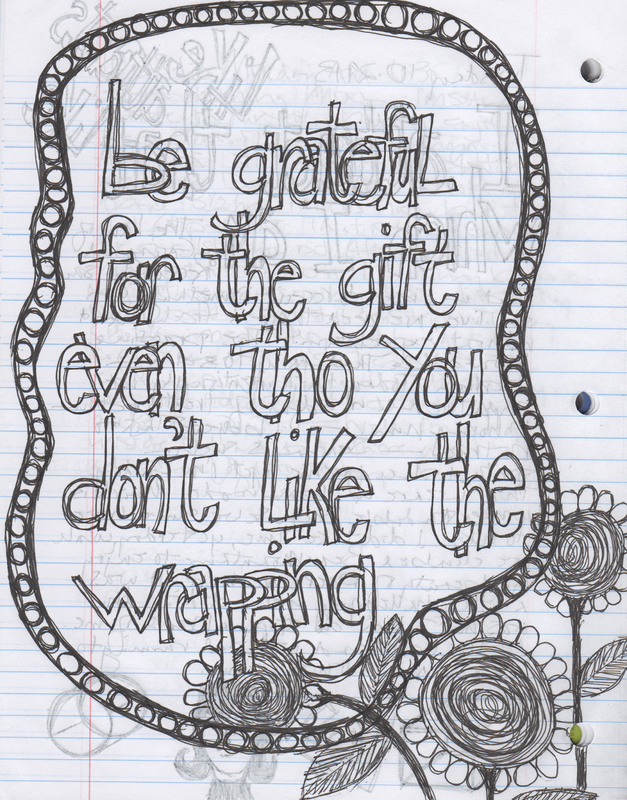 Thank You for the gift of being able to look deeper into my heart and for learning to let go. 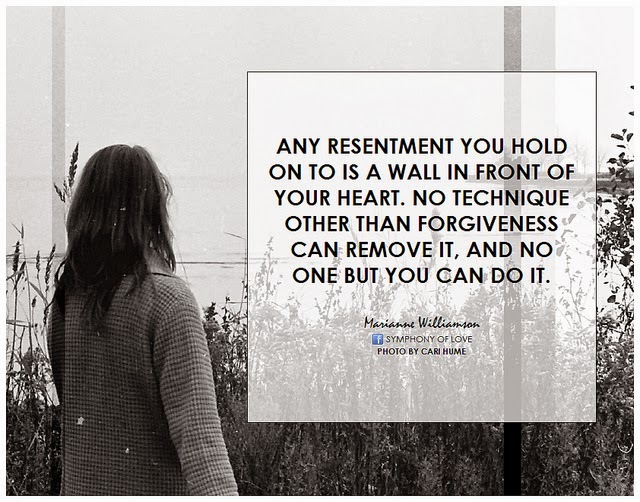 The more I practice letting go of resentments the more room I will have in my heart for love.